OLD PARKED CARS. 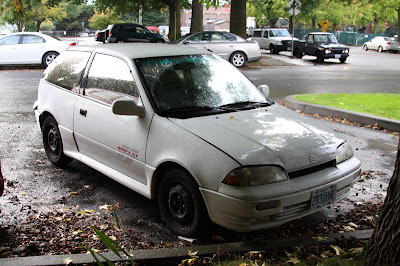 : 1992 Suzuki Swift GT. 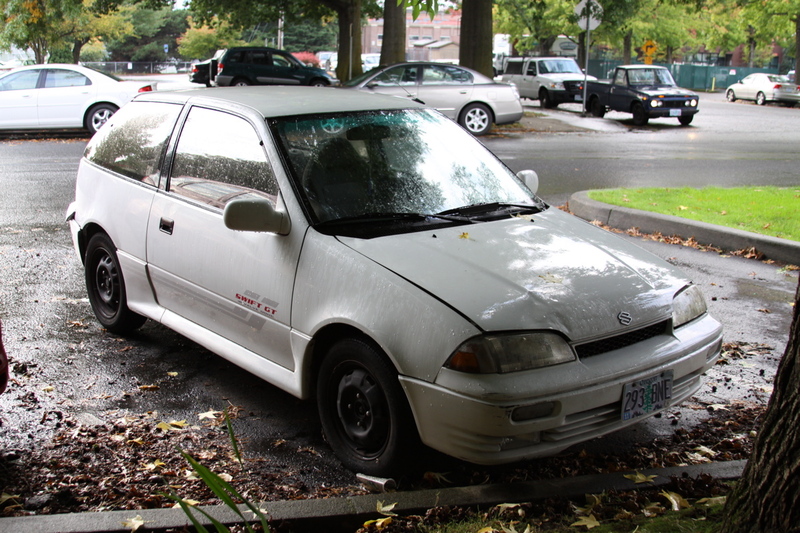 this is 1992-1994. the 89-91 had different tailights, bumpers (front and rear) and in 89 only, the swift GT was called GTi. Imagine taking this thing on an autocross course? Would be sick! 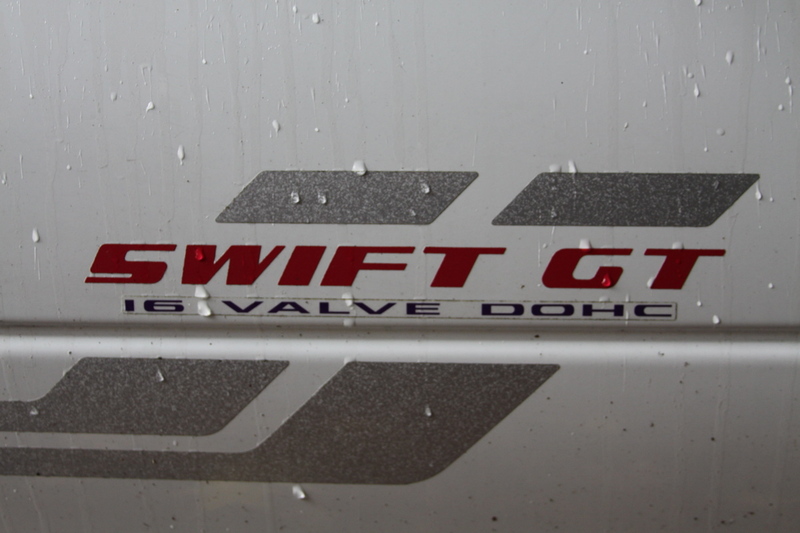 That Swift GT/16V badge is absolutely class. I need to experience that wheelbase with 16 valves and DOHC (even if it is a 1.3...right?)! 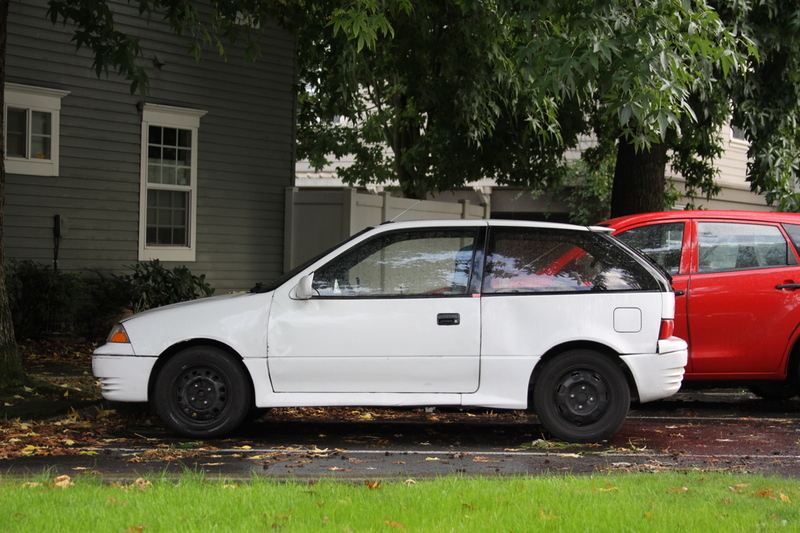 Looks so fun, even though it's not very visibly different from a Geo Metro or Daihatsu Charade. I love this, black steelies are perfect. The little "i" made Volkswagen of America mad, supposedly. 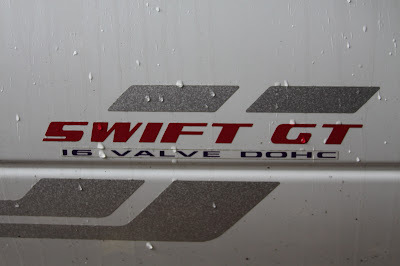 So this car "Swiftly" became a GT instead. Black steelies are not bad, but the original factory wheels would have been a blacked-out set of Minilite lookalikes. Very rally-inspired. Wow... I test drove one of these in 1989 and really thought about it. Held out a few months and bought a Miata in Sept of 89 instead. 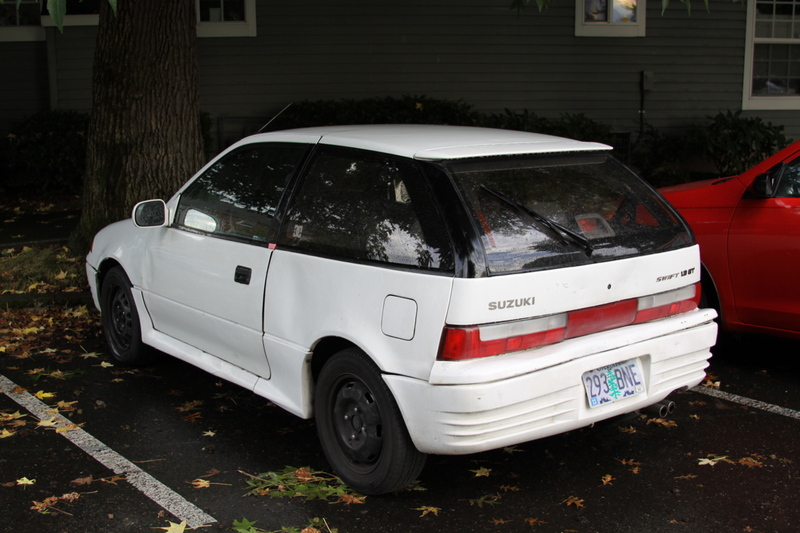 Still have the 90 Miata, and I'd still have the Suzuki if I'd have gone with it. It was a cool little screamer.